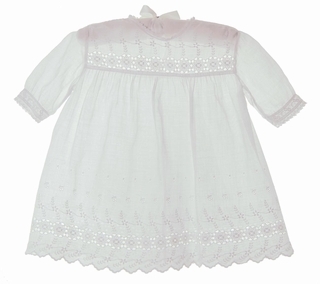 This lovely white Broderie Anglaise dress was one of several purchased at the Portobello Market in London. 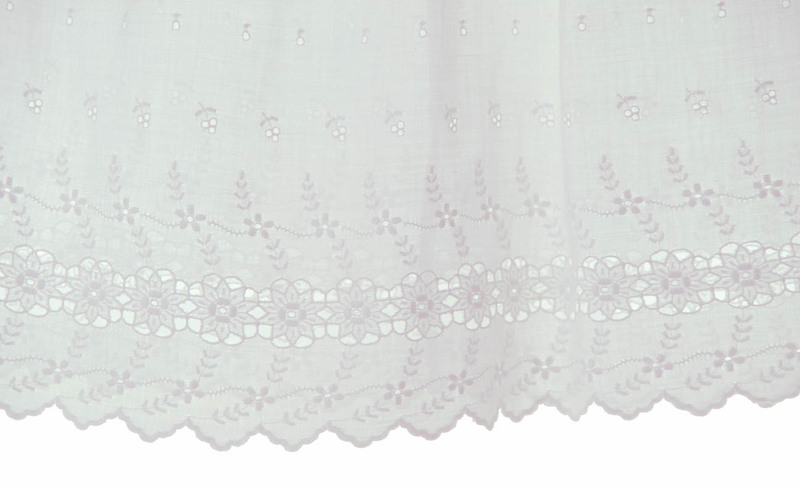 From the 1920s, it features lovely embroidered eyelet cutwork on the yoke and body of the dress. The neckline is trimmed with lace and the back closes with hand made loops with shell buttons. 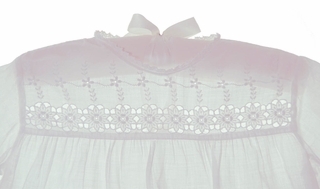 The long sleeves are edged with entredeux and lace. A lovely heirloom christening, baptism or dedication dress for yur babygirl!